Organized in the memory of Aurel Cimpeanu, the coach from Vrancea who trained through his career some of the most representative judoka from Vrancea County and Romania, the 14th edition of the INTERNATIONAL JUDO TOURNAMENT The Memorial of AUREL CIMPEANU gathered participants from six countries, from 44 judo clubs, being present a number of 445 sportsmen. 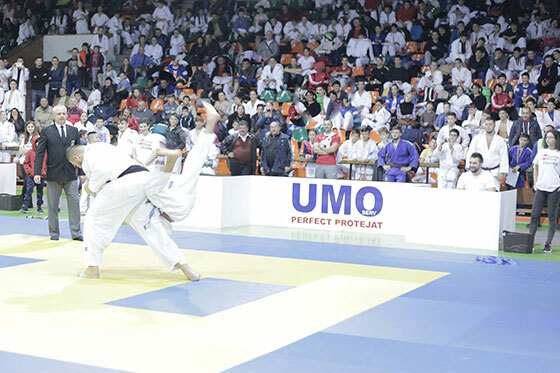 There competed at the categories male U14, U16 and U18 and female U14 and U16, also being organized an OPEN tournament for seniors. 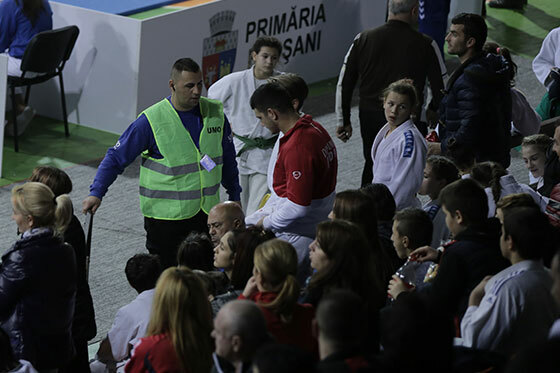 The final clubs ranking was: 1st place – Vrancea County Association of Judo, 2nd place – LPS CSS Liberty Oradea, 3rd place – – CSS Ploiesti and Temerarul Sibiu Club. 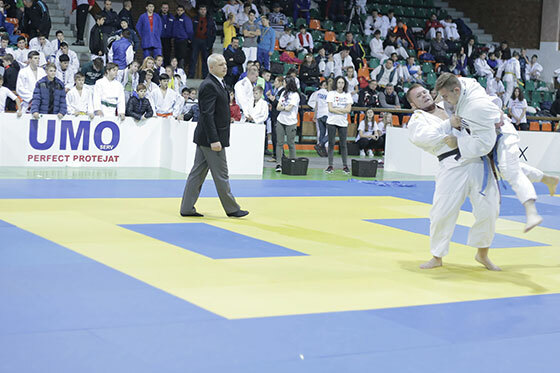 The OPEN seniors tournament it was won by DANIEL NATEA, in this moment we consider that he is the best product of the Romanian judo school, he was the only male judoka present at the Olympic Games in Rio this year. The world of judo legend ILIAS ILIADIS was the special guest of the Memorial who was held in the Focsani Sports Hall, with him being present the notorious ALINA DUMITRU, Olympic, World and European champion, ADRIAN CROITORU, World and European champion, and LUCIAN GRIGOROPOL the founder of the Vrancea County judo school, owner of a 4 Dan black belt, in present trainer in the USA. 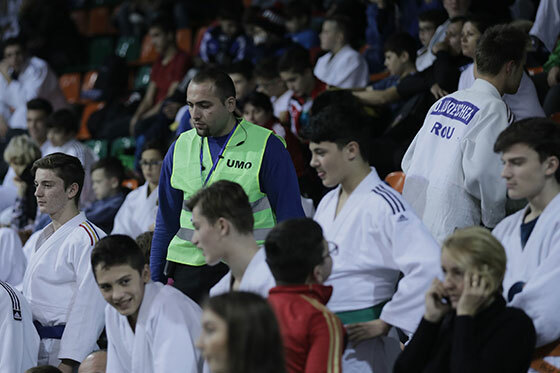 The Memorial was organized by the Vrancea County Association of Judo and CSM Focsani 2007, in collaboration with ASSOCIATION OF SECURITY and Vrancea County Directorate of Sports and Youth with the support of LPS Focsani and Unirea Focsani Sports Club. 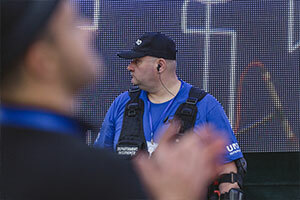 The competition sponsors were the Vrancea county companies UMO Serv, ARTIFEX and PANDORA Prod, this year edition benefiting in premier by the contribution of the Focsani City Hall. Also we mention the help given to this competition by Carrefour Focsani and Crama Girboiu, also the involvement of a young volunteers team who gave a precious help for the good organization of the sports spectacle. 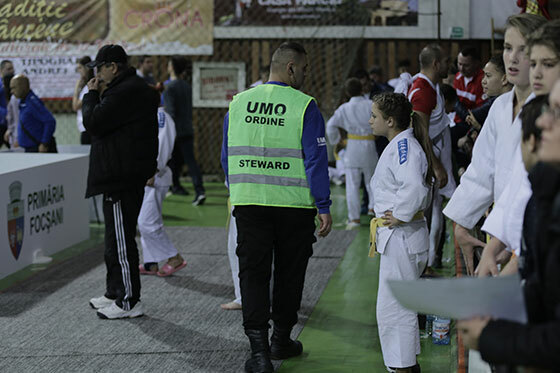 UMO Serv thanks ASSOCIATION OF SECURITY for made it possible to bring the great champion ILIAS ILIADIS for the INTERNATIONAL JUDO TOURNAMENT, the presence of this legend of World of judo being an extra motivation for the young judoka who competed in the Focsani competition. It was an extraordinary competition, unforgettable, with a high sport and organizing level, the presence of these great champions being extremely honored for us, the Focsani community proving once again that she knows the science of respect for the past, actual and next sports values!